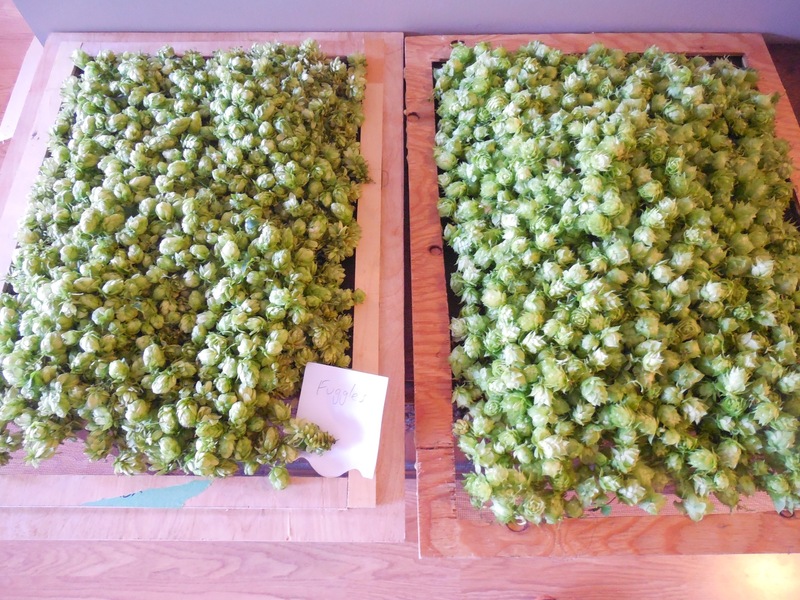 There’s nothing like the smell of fresh hops, I wish I owned a hop farm. 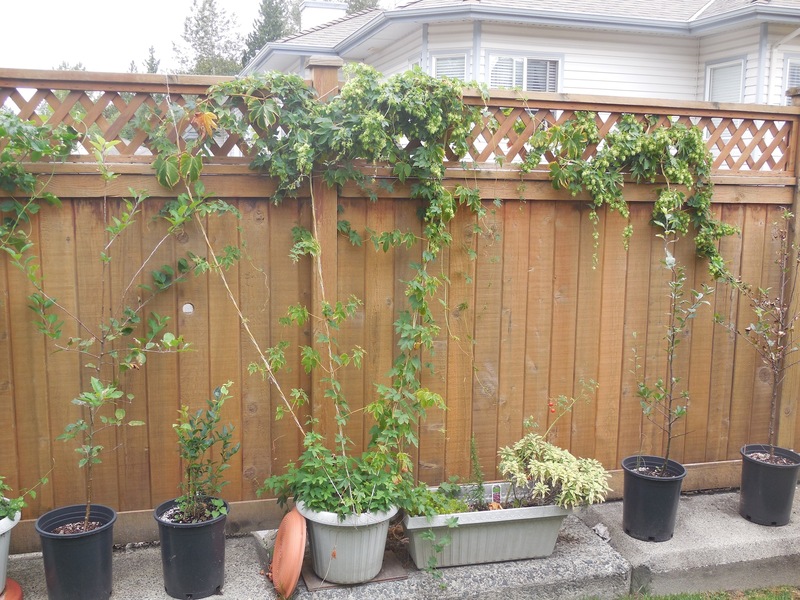 Until that happens I’ll just have to be happy growing them in pots in my backyard. This years crop was pretty good, I got about three times more Fuggle hops and my first year Cascade even produced a couple handfuls. 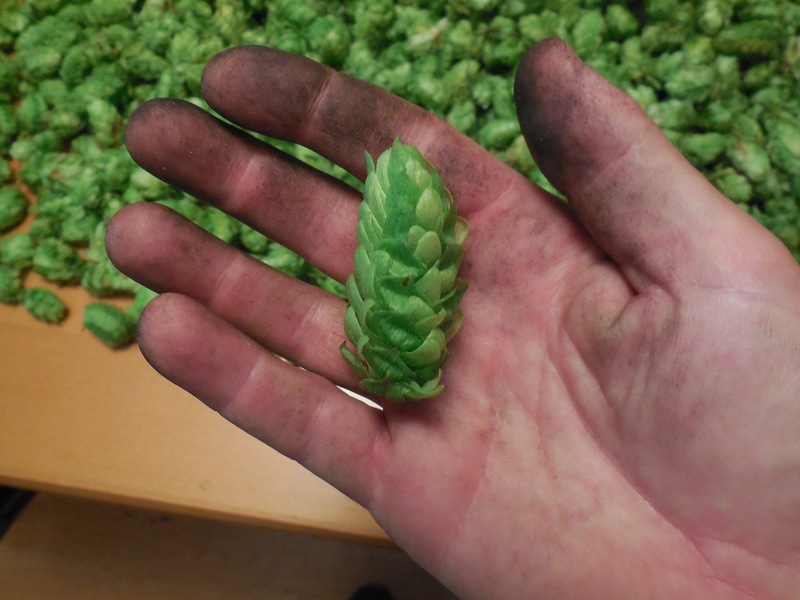 Unfortunately my hop cones were rather small this year, my guess is that I need bigger pots, anyone else experience small hop syndrome? Brewers Gold, some of it is on the other side of the fence. 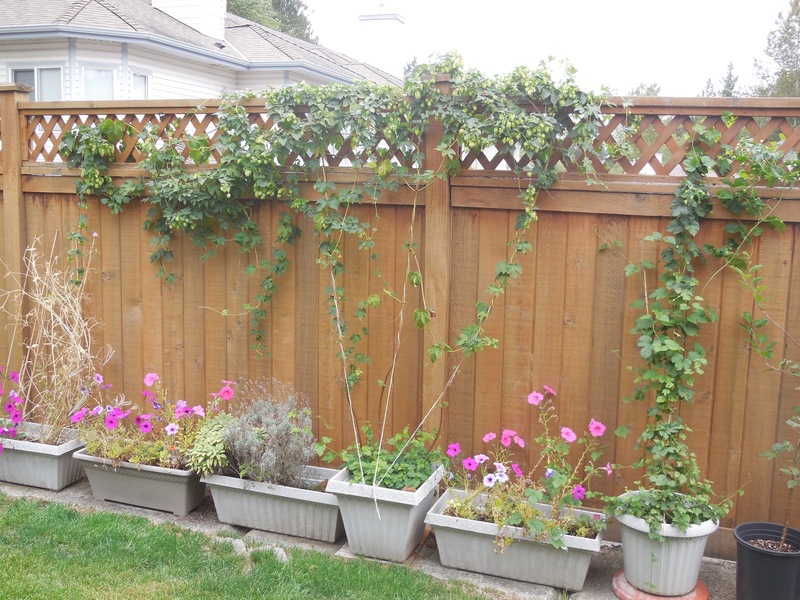 Here’s my Fuggles with the new Cascade vine on the right.